Sign up and receive Property Email Alerts of Farms for sale in Byrne, Byrne. This lovely property is 8.0937ha in extent and situated in the Byrne Valley approximately 20kms from Richmond. The spacious homestead consists of three bedrooms, two full bathrooms (main en-suite), a large lounge with jetmaster fireplace, an open plan dining room, a study area and a separate laundry/storage room. The lovely big kitchen which is well fitted includes a lovely wood/coal stove and separate scullery area. 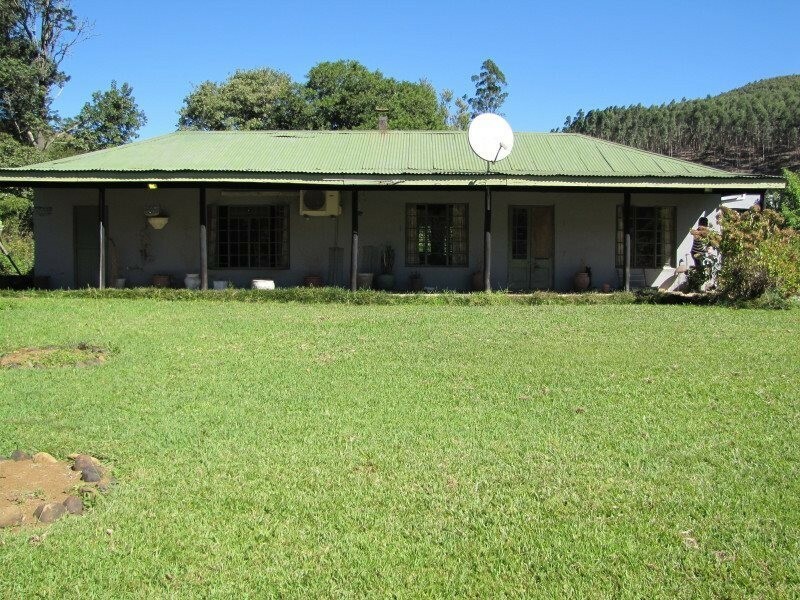 In addition there is a three bedroomed wooden cottage plus numerous outbuildings which include two rondavels, some old dog kennels, storage facilities, staff accommodation and a double garage. Water is from a good borehole and also pumped from the stream which flows on the property. There is 3-phase Eskom electricity supply. This property would suit a small holding operation and offers level land for cultivation or grazing. Sign-up and receive Property Email Alerts of Farms for sale in Byrne, Byrne.